WEST: An Investigation of Global Concern from Benji Jeffrey on Vimeo. A collaboration with Keira Greene. A video documentary whereby researchers Ingrid Vestor and Victor Gator respond to an issue of global concern, the subject of ‘West’. 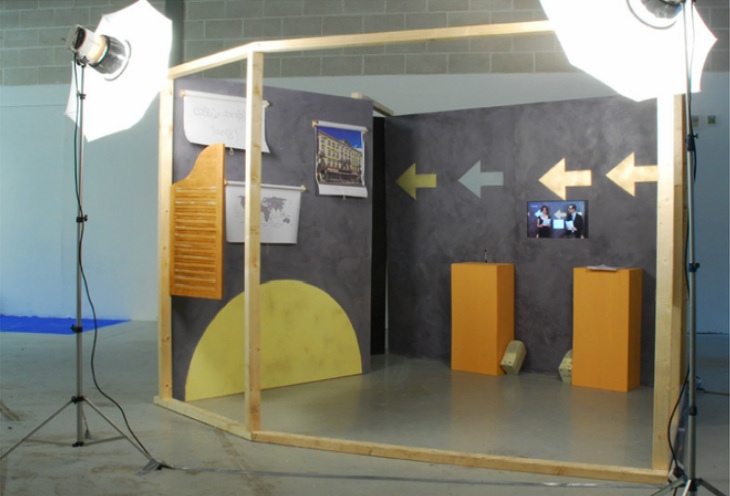 A purpose built set was used to film and to present the video within.